Once a celebration for China's lonely hearts, Singles' Day has become a 24-hour extravaganza that outsells Black Friday and Cyber Monday US sales combined. 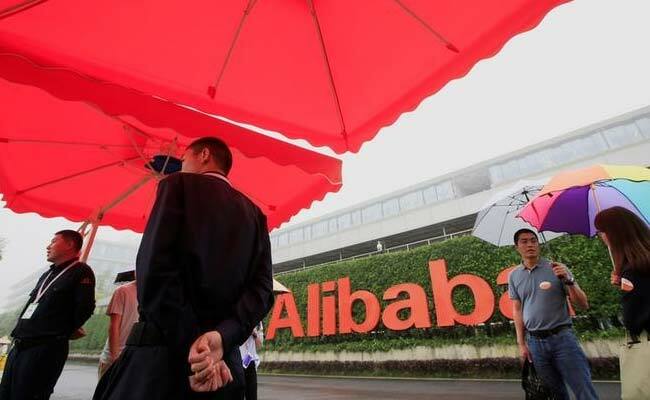 Shanghai: Chinese e-commerce giant Alibaba said sales topped 10 billion yuan ($1.51 billion) in just over three minutes from the opening of Singles' Day, an annual online discount sales gala that has become the world's biggest shopping spree. Once a celebration for China's lonely hearts, Singles' Day has become a 24-hour extravaganza that outsells Black Friday and Cyber Monday US sales combined, and acts as a barometer for China's consumers. After a star-studded event in Shanghai late on Friday counted down to the sale's midnight start, Alibaba said gross merchandise volume (GMV) topped 10 billion yuan in a little over three minutes, and had almost doubled, to 19.1 billion yuan, in under six minutes - beating the entire day's sales in 2012. Alibaba alone saw $17.7 billion of goods sold on its platform at last year's Singles' Day. "This is a big event for China, for the Chinese economy," co-founder and Alibaba vice chairman Joseph Tsai said ahead of the sales bonanza. "On Singles' Day, shopping is a sport, it's entertainment." Tsai said rising disposable incomes of China's "over 300 million middle-class consumers" was helping drive the firm's online sales - and would continue. "This powerful group is propelling the consumption of China," he said. Analysts and investors will closely watch the headline sales number, which is likely to top last year's total. Spending rose by nearly a third at 2016's sale - the eighth iteration of the event - but that was slower than the 60 percent increase logged in 2015. At Alibaba's Friday night gala, co-founder and chairman Jack Ma hosted guests including actress Nicole Kidman, singer Pharrell Williams and Chinese musicians and film stars such as Zhang Ziyi and Fan Bingbing. He estimated Alibaba's Singles' Day sales growth would likely slow to around 20 percent. Online retailers were being forced to push offline as well as overseas to attract new shoppers, and the overall online retail market was close to "saturation". Ben Cavender, Shanghai-based principal at China Market Research Group, noted that brands were being more careful with the deals they have on offer this year to avoid "margins getting killed", and were often asking for deposits in advance. "I think prices seem high and I'm totally lost as to the rules (about discounts)," said Gao Wantong, 21, a student in Beijing, though he said he still planned to stay up late to grab early sales. "I've bought some stuff already, but I haven't finished shopping yet," she said.